1. You start feeling like the world is coming to an end if you watch too much news. People who are psychic are also people who are very affected by energy. Typically, the news is filled with energy coming from stories of war, violence, doom – and an intuitive person will often unknowingly pull that energy right into their body. The result? You walk around feeling angry, violent, worried, harried, upset – and all the other energies that the news just put out there. Now, while it’s cool to realize that this is actually a psychic sense (clairsentience – intuitive feeling), it’s also something that can make you have a very bad day! The easiest solution is to step back from the news. The more long-term solution: learn how to manage your energy! I love this one – because it’s just so unexpected. Have you ever been taking a shower and suddenly you say to yourself, “oh yeah! Why didn’t I think of that before!” or something you’ve been struggling with finally becomes clear to you or perhaps you just find yourself calming down for the first time all day? 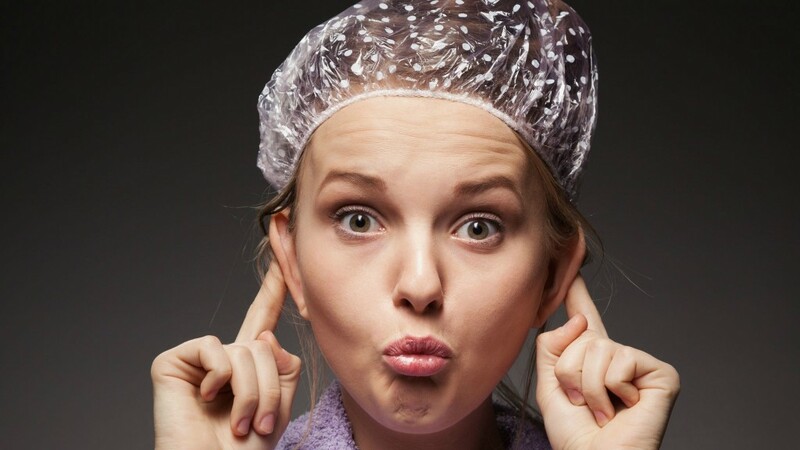 This, my friend, is because in the shower, you’re finally able to block out the superfluous intuitive messages that you’ve been subconsciously trying to pick up throughout the day. As natural intuitives (and we all are), we are like walking radio antenna receiving the data we need to get through our lives. If we don’t hone this skill, many people will start trying to pick up ALL of the intuitive data flying by – even that data that has nothing to do with them! In the shower, however, because of the water beating down on our bodies, many of our receptors are occupied. The shower ends up being a break from that intuitive data overload and this is why so many people have such great shower experiences! When asked for advice, do you often come up with something really insightful – something you didn’t even realize you were going to say? Many people think they are just very smart and can think on the fly in this way – but what is more likely happening is that you’re tapping into your already existing claircognizance (psychic knowing) to get your great ideas. That’s why you don’t have to think them through beforehand – and they can just pop (to your surprise) out of your mouth. There are MANY more ways that people are unknowingly using their psychic skills – so keep an eye out. Usually when we think we’re really smart about something or we discover something new or even when we just have a great idea – there is an intuitive component! 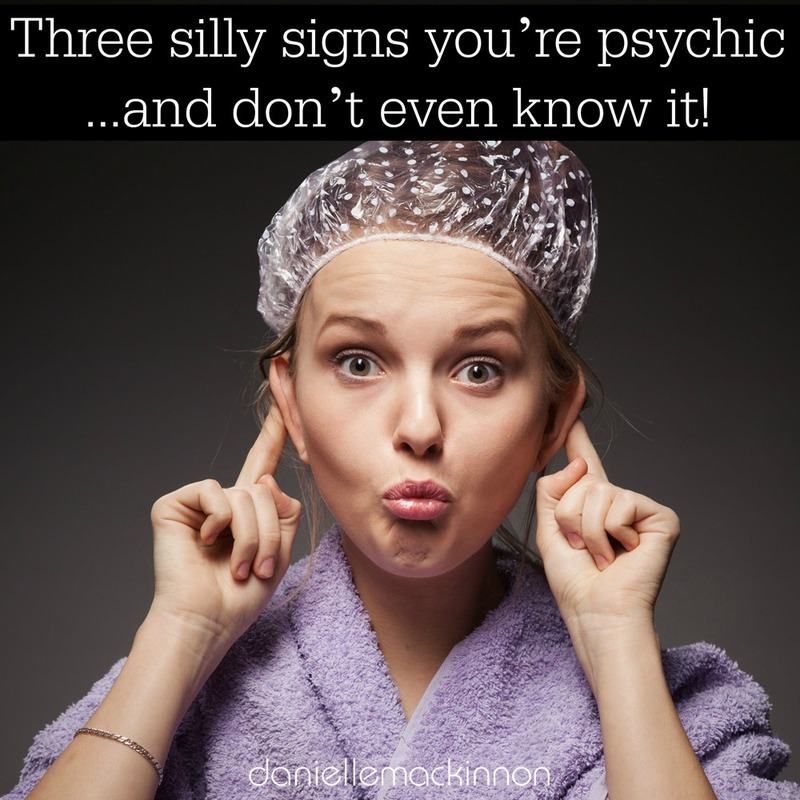 Being psychic isn’t a “weird” thing – it’s a skill we all innately have within us. For many, being psychic isn’t about opening the psychic senses, but more about realizing how we’re already using our psychic senses. Thank you for sharing your story about the elephants.. I cried along with you when you told us what the elephants were feeling.. I really hope they get transferred.. also I enjoyed the post on being psychic and not knowing it, for me it is about trusting my inner knowing.. thanks again Danielle..
Is this why most of my great ideas come to me in the shower? My heart aches for those poor elephants. Many tears. Thank you for sharing their story. I hope they are transferred and know peace and happiness soon. I look forward to future updates. Loved the psychic blog post! 1) Yes, 2) yes and 3) YES!! Thank you for sharing this. I am still crying with the elephants. Shared the video on Facebook. Psychic blog post really resonated loudly. Watching even reading the news can leave me in tremors that I can’t seem to shake for days sometimes longer…it rocks my core. Would luv a forcefield or shield! What is the secret to MGNT of NRG ??? Thank you for helping us find our inner psychic. I almost cry when i saw you feel bad for those poor elephants. I hope your every day work have much more happy moments than sad moments. My cat Blu likes you very much she says thanks to you i started cleaning my energy. Thanks for your confirmation. I think that everyone has psychic abilities in different levels. But, it is up to them to wake their potential up. I just want to become a normal person. So, finding advice from a psychic is a good idea when I need to solve an impossible spiritual issue!